Scott Shannon, MD, ABIHM, has been involved in holistic medicine since he joined the American Holistic Medical Association in 1978. 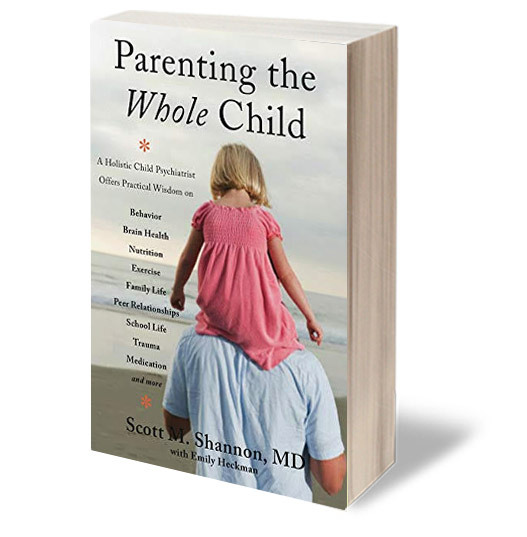 Scott has elaborated a holistic and integrative perspective in psychiatry for the last two decades. He published the first textbook for this field in 2001. Scott is a past President of the American Holistic Medical Association and a past President of the American Board of Integrative Holistic Medicine. He was a founding Board member for the Academy of Integrative Health and Medicine and the American Board of Integrative Medicine, which is now the sole certifying body for the profession of Integrative Medicine. In 2010 he founded Wholeness Center, in Fort Collins. This innovative clinic provides cross-disciplinary evaluation and cares for mental health concerns with 16 professionals in 10different disciplines. Norton published his latest textbook for professionals, Mental Health for the Whole Child in 2013 and his book for parents, Parenting the Whole Child in 2014. Scott serves as a site Principal Investigator and therapist for the phase III trial of MDMA assisted psychotherapy for PTSD sponsored by the Multidisciplinary Association for Psychedelic Studies (MAPS). This study is coming full circle for Scott as he worked with MDMA legally in his practice before the DEA scheduled it in 1985. He has published numerous articles about his research on cannabidiol in mental health based on the extensive application of this new tool at his clinic in Colorado. Teaching has been a core component of Scott's life. He teaches as an Assistant Clinical Professor of Psychiatry at the University of Colorado-Children’s Hospital in Denver. In 2004 the University of Colorado became the first American training program to offer a formal elective in Integrative Child and Adolescent Psychiatry. He helped to develop the current integrative training track for psychiatry residents at the University of Colorado. Currently, Scott works extensively with ketamine and ketamine-assisted-psychotherapy. He lectures all over the world to professional groups interested in a deeper look at mental health issues, safer tools, and a paradigm-shifting perspective about how to offer transformative care.